Show Racism the Red Card (SRtRC) in partnership with UNISON in the Northern Region have been running a football tournament in Colombia for the past two years. People in Wales are being invited to contribute their ideas to a new vision for sport as a nationwide conversation is launched. A boxing champion who has represented England six times has been arrested and locked in an immigration detention centre, pending deportation to Nigeria a country that has said it won’t allow him to live there as he is not a citizen. how Racism the Red Card (SRtRC) have recently been involved in a project collaboration between UNISON Northern, Nomadesc and communities in Southwest Colombia. SRtRC Chief Executive, Ged Grebby, travelled to Colombia last week with former Sunderland AFC Captain, Gary Bennett, and former Newcastle United FC Defender, Olivier Bernard to visit communities in the Southwest of the country. The Scottish team are thrilled to have delivered our Young Volunteers Empowerment Programme to young people from Govan Youth Information Project today thanks to Big Lottery Scotland. After another brilliant SRtRC School Competition in 2017, the calendar is the perfect way to showcase the amazing creative work we received this year. SRtRC would like to give a huge thank our sponsors for making the calendar possible. On Tuesday 5th December 2017, Show Racism the Red Card (SRtRC) held an educational event at St Andrew’s Stadium and worked in partnership with Birmingham City Football Club to educate local young people about the dangers of racism. We delivered the first workshop for grassroots clubs as part of our Challenging Racism in football project. We visited the Racecourse ground for our educational event with Wrexham AFC. 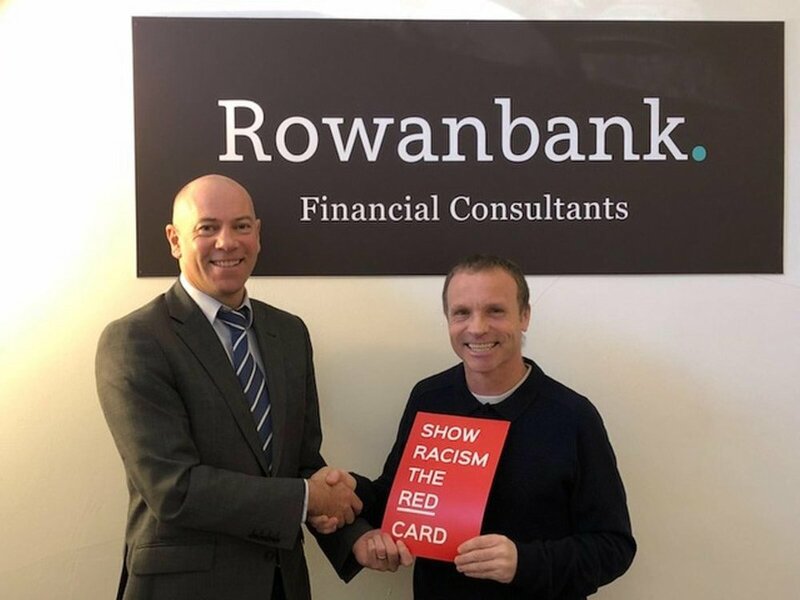 Show Racism the Red Card Scotland is delighted to announce the phenomenal support we have received from Rowanbank Financial Consultants based in Leith. After significant funding cuts in Scotland, the Scottish team are so grateful to Dean Ballingall and the team at Rowanbank for their generous donation. The Scottish team has been striving to source additional funding to help us to continue the much needed Educational work we do across the country in the face of rising racism and the support given by Dean and his team has been invaluable. A heartfelt thank you from the Scottish team to Rowanbank Financial Consultants. We visited Rodney Parade for our educational club event with Newport County FC.